Roasted eggplant and pickle dip! Loving you some greek yogurt? 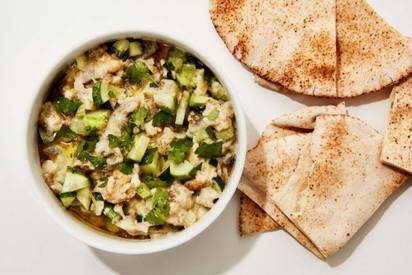 Light and tangy, this dip is baba ganoush esque! Bonappetit says that half sours pickles are good in this dip, but you can use anything with a little spice or kick to get the delicious effect!